Knee replacement surgery is recommended to patients who have a degenerate knee joint causing significant pain and disability. Often the pain is associated with joint stiffness and deformity. Most common cause for degeneration of a knee joint is osteoarthritis. Other causes include inflammation such as rheumatoid arthritis, gout or pseudogout, trauma. The most common type of such surgery are total knee replacement also known as total knee arthroplasty and the less common uni-compartmental (partial) knee replacement. To ensure best possible outcome, this procedures are best performed by an orthopaedic knee surgeon. A total replacement involves removal of the worn cartilage from the femur and the tibia and replacing it with artificial implants to recreate normal joint anatomy. The patella (knee cap) may also be replaced depending on wear rate and surgeon preference. The implants are fixed into bone using either polymethylmetacrylate bone cement or cementless fixation. Dr. Stoita’s preference is for the use of bone cement as this has shown superior results in high quality randomized trials. Total replacement surgery can be quite uncomfortable especially in the first two weeks. A multimodal pain management is used including spinal anaesthesia, local anaesthetic injected during surgery, ice and oral analgesia to minimize the discomfort and to allow early rehabilitation and recovery. Physiotherapy is very important after this procedure and is aimed at restoration of the range of motion, muscle strengthening, gait retraining and proprioception. It is necessary for physiotherapy to start immediately after surgery to minimize stiffness and maximize range of motion and hence optimal outcome. Total knee replacement is usually a very successful procedure with high satisfaction rate, marked reduction in pain and significant functional improvement. The longevity of these implants continues to improve with more than 92.5% of them functioning well at 13 years after implantation. 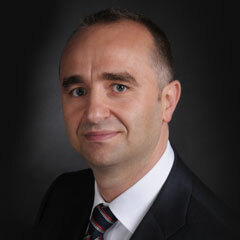 Dr Razvan Stoita has a specific interest in Robotic Knee Replacements. This is a surgical technique that uses computer navigation combined with robotic technology to deliver a Personalised Knee Replacement. It is well known that every patient is a unique individual with specific knee alignment. Knee osteoarthritis induces changes in the patients’ knee alignment with subsequent alterations in knee ligament tension and ultimately changes in knee proprioception, gait and biomechanics. Kinematic knee replacement is a more recent surgical technique that aims to restore the knee anatomy, mechanics and ligamentous balancing to the status prior to the onset of knee osteoarthritis. Numerous recent studies have shown improved early recovery and function with this surgical technique. The robotic technology allows accurate 3D assessment of the knee and its ligaments for operative planning and precise surgery. This procedure involves replacement of part of the knee joint, commonly the inside (medial) part of the joint. 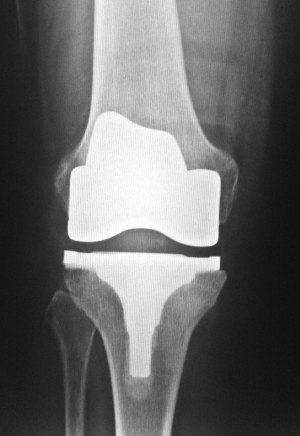 Unicompartmental knee replacement is only appropriate in case of osteoarthritis limited to one compartment of the knee. To be recommended this surgical procedure the patients must meet certain criteria including integrity of anterior cruciate ligament, small and correctable knee deformity, adequate range of motion, age, body mass. Robotic Knee Surgery is allowing Dr Stoita to deliver improved accuracy and precision over the conventional technique with subsequent improvements in patient recovery and function. This is a smaller procedure compared with a total knee replacement with less pain and quicker recovery. It also provides a more “normal” feel of the knee joint and superior functional results are achieved compared with a total knee replacement. 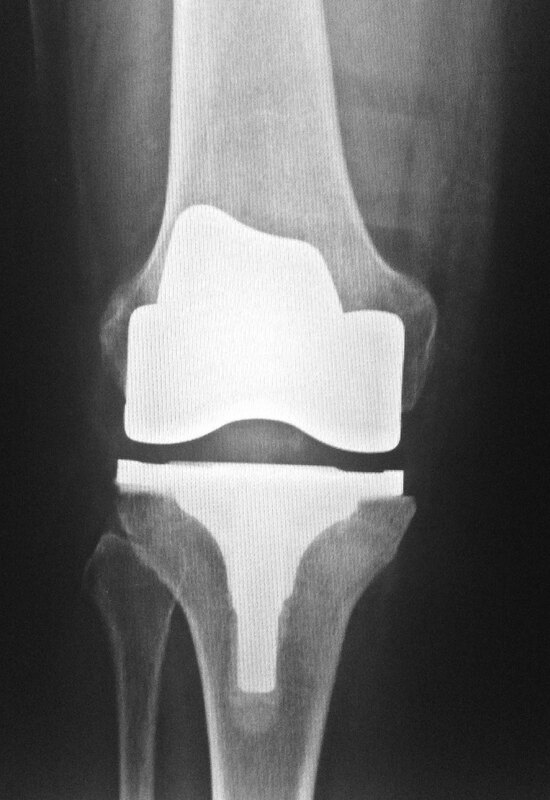 However, this procedure has more that twice the risk of revision at 10 years after implantation compared with a total knee replacement but the revision is usually easier due to good bone stock preservation. The use of this procedure has been continually decreasing in Australia since 2003 with 4.1% of total knee replacements in 2013 being a Unicompartmental knee replacement. It however has a role in a small number of carefully selected patients who can achieve a superior functional result, and through the expertise gained in a major joint replacement centre in the UK, Dr Stoita is able to offer this procedure to selected individuals. I am a fellowship trained orthopaedic knee surgeon and I will provide you with the all the information required to make an informed decision in Sydney. I will discuss with you my recommended surgical option that will enable the best possible outcome.